Elusive butterfly - late flying (Aug/Sept) , high in the woodland canopy , feeding on aphid honeydew. Descending occasionally to feed on flowering Bramble ,Thistle , Hemp-agrimony . 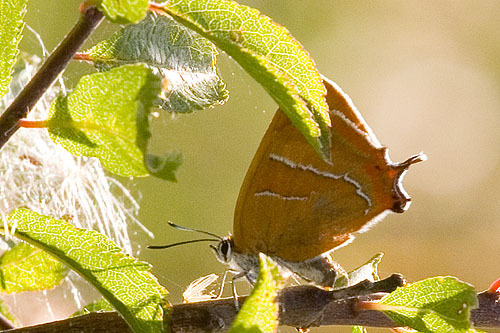 Females , lay eggs , low down , on Blackthorn bushes. Photo - Grafton Wood / Worcester.